Supreme Court judgement on Aadhaar card: The Supreme Court on Tuesday extended the March 31 deadline for mandatory linking of Aadhaar to avail various services and welfare schemes run by the government till its constitution bench delivered its verdict on the validity of the 12-digit biometric number and its enabling law. 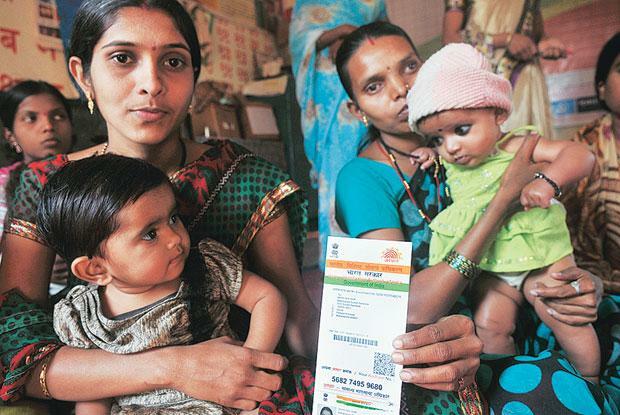 A five-judge Constitution bench headed by Chief Justice Dipak Misra extended the deadline after the Centre said it had already submitted that they were ready to extend the March 31 deadline for linking of the national biometric identifier with all services and welfare schemes. On March 6, Attorney General K K Venugopal had indicated to the bench that the Centre was willing to extend the March 31 deadline in the wake of prolonged hearing of the matter. If you haven’t linked your Aadhaar to your mobile number or bank account yet, this might come as a relief. The Constitution Bench, headed by Chief Justice Dipak Misra, hearing a bunch of petitions against the Aadhaar law, was informed by Attorney General K K Venugopal that the Centre had extended the deadline in the past, too, and that it could do so again. “If required, we can do it again,” Venugopal said, after petitioners challenging the constitutional validity of the Aadhaar scheme sought an extension of the deadline to link the 12-digit unique identity number with various government schemes and services. The petitioners, for their part, said that the deadline was approaching and the case was unlikely to be decided by March 31. On December 15, 2017, the apex court had directed that the deadline for the linking of Aadhaar with bank accounts and mobile phones be extended until March 31. The Constitution Bench is hearing challenges to the constitutional validity of the Aadhaar scheme on the touchstone of the fundamental right to privacy on a bunch of petitions by former Karnataka High Court Judge K S Puttuswamy, Magsaysay awardee Shanta Sinha, feminist researcher Kalyani Sen Menon, and others. The UIDAI, however, has said the requirement of Aadhaar for opening new bank accounts or applying for Tatkal passports will continue, while the deadline for linking it to existing bank accounts and PAN has been extended by the Supreme Court. “As per the Supreme Court’s order dated 13th March 2018, the requirement of Aadhaar for opening new bank accounts and applying for Tatkal passports under the relevant laws continues,” the Unique Identification Authority of India (UIDAI).